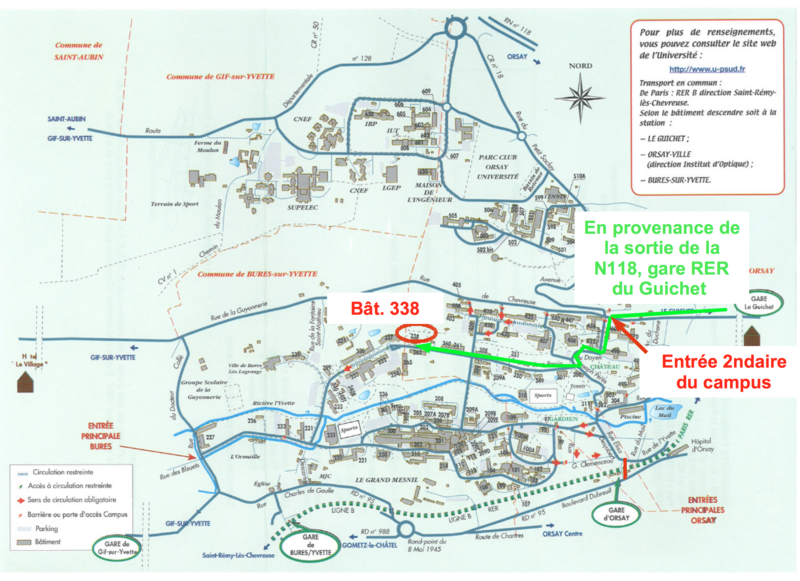 By car via the N118: from Paris, take the A6 then the A10 then the N118 toward Orsay. On the campus, some colored squares on the direction signs are associated to the building numbers. You have to follow the green squares toward building 338. Be aware that the building numbers do not appear in increasing or decreasing order! By RER B - Gare Orsay ville: on the campus, some colored squares on the direction signs are associated to the building numbers. 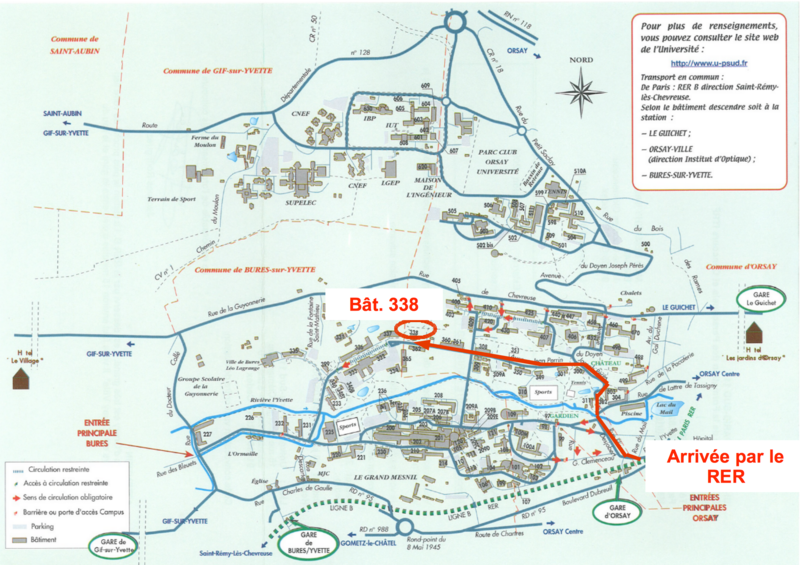 You have to follow the green squares toward building 338. Be aware that the building numbers do not appear in increasing or decreasing order!